SOLUTION: Artisan Productions designs business cards, beautiful letterheads, beauty product labels, & more for massage therapists and spa salons. 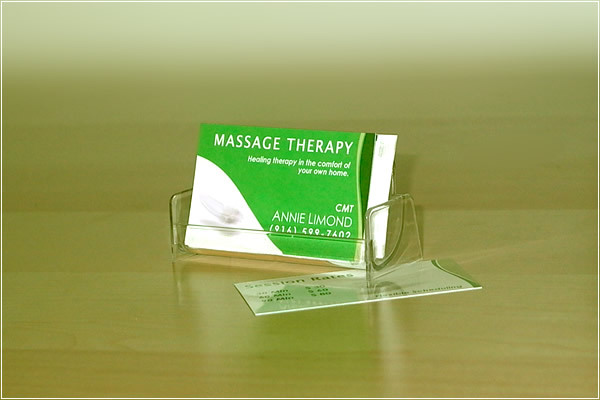 We developed elegant massage therapy card design for Annie with her custom needs in mind. 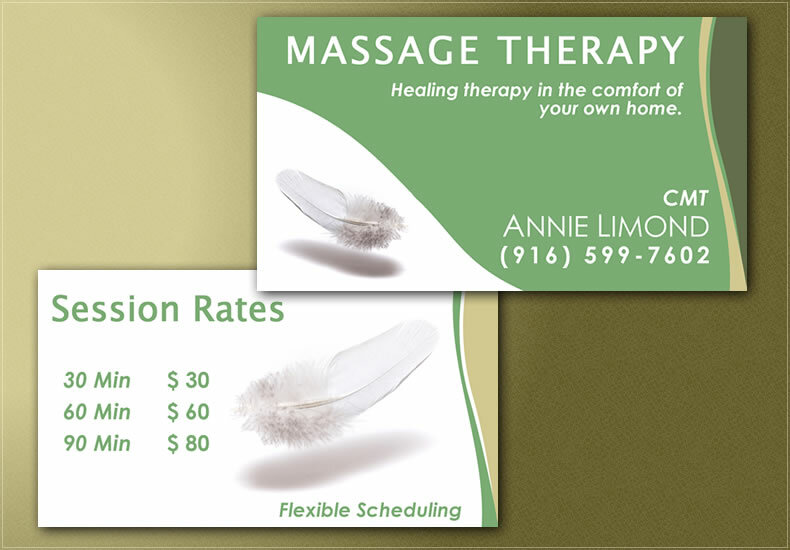 For her massage therapy business card we've incorporated a light feather into the blend of olive-green shades and smooth feminine curves.